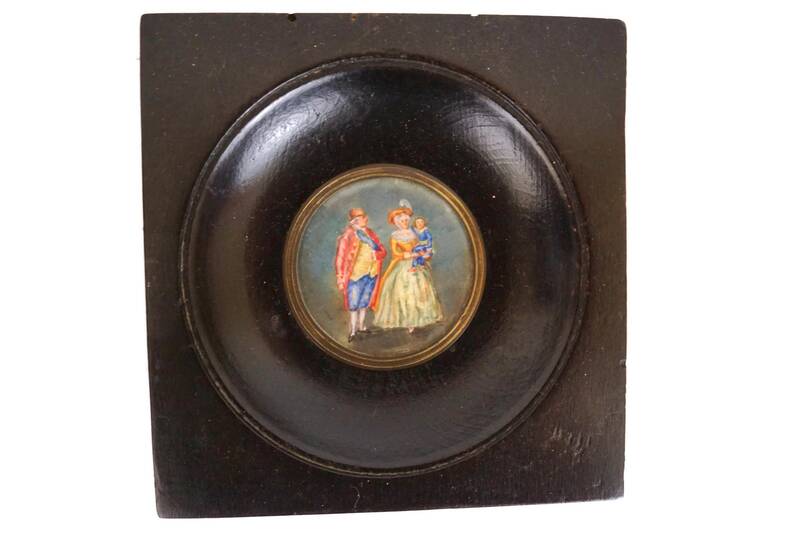 An exquisite antique French miniature portrait painting dating from the late 1800's. 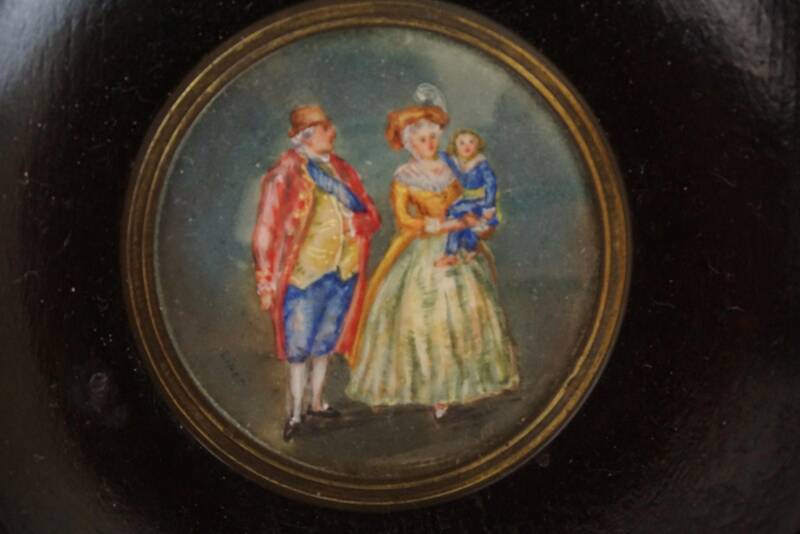 It features the portrait of an elegant aristocratic couple with their young child, all dressed in Louis XVI costumes. 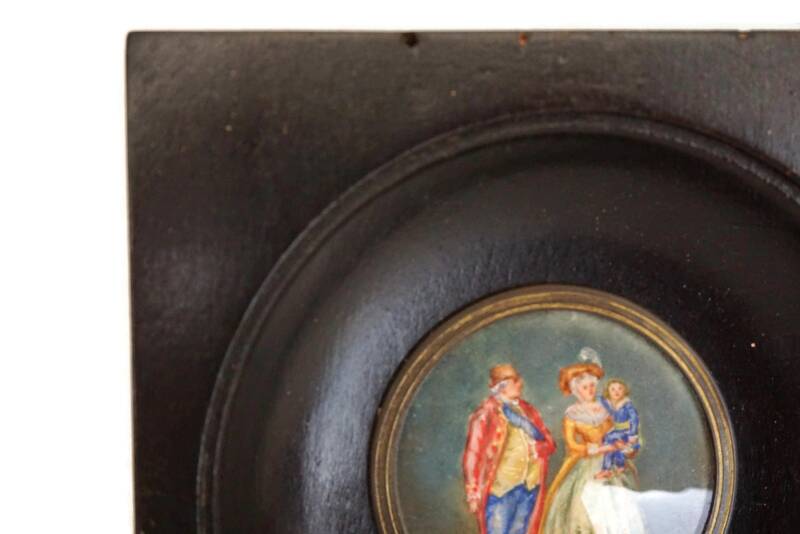 The gouache painting has fine details and has been framed under glass in a broad Napoleon III style black wooden frame with a brass bevel around the glass. 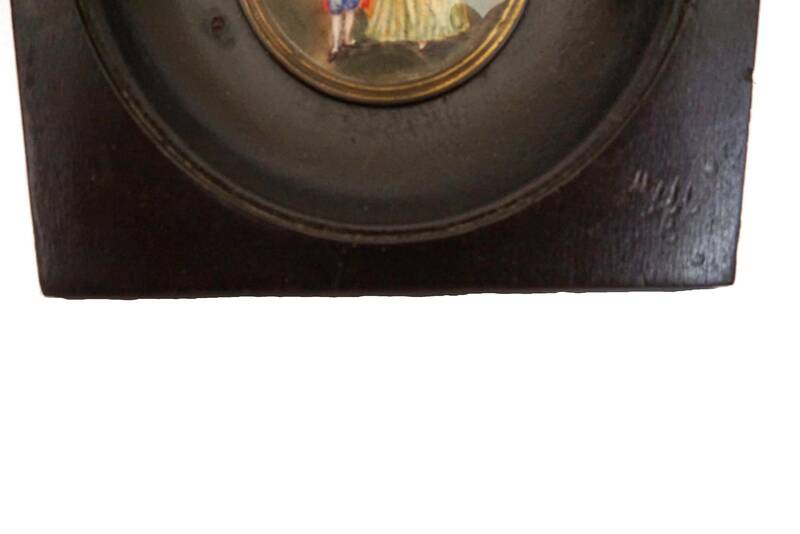 The miniature painting has been signed by the artist Linet. 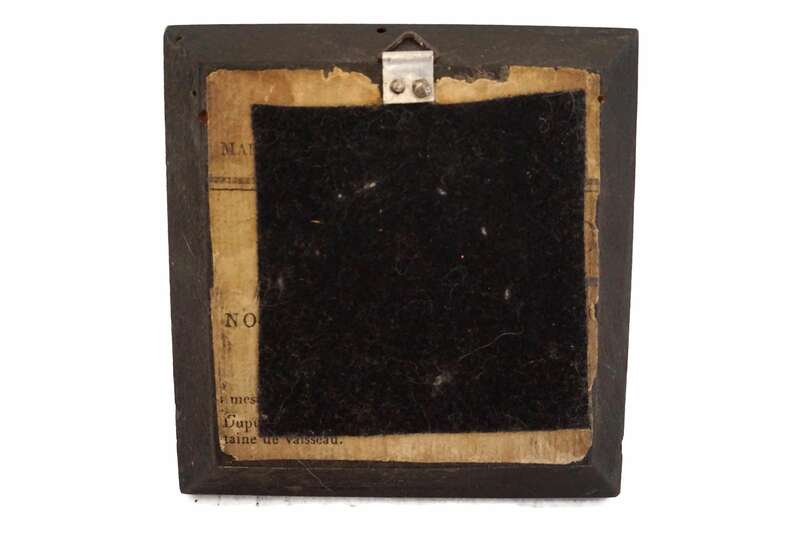 The reverse side has been lined with felt and has a hanging ring to fix the frame on a wall. 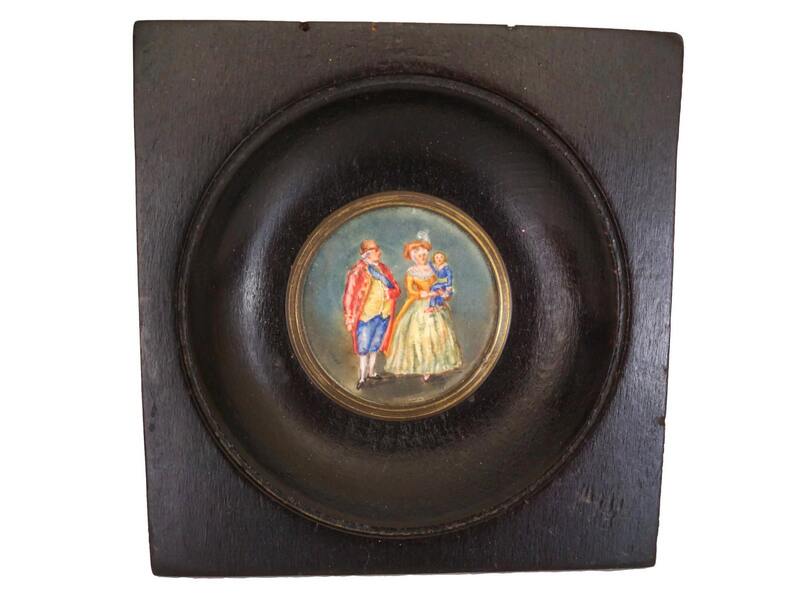 It will make a great addition to your French chateau decor. 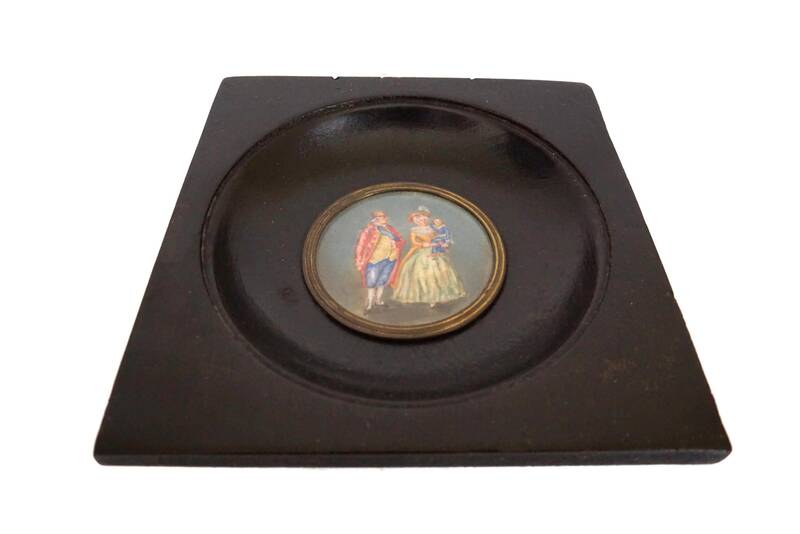 Frame: 4 1/4" Tall x 4 1/8" Wide x 1/8 Deep (11 cm x 10,5 cm x 2 cm). 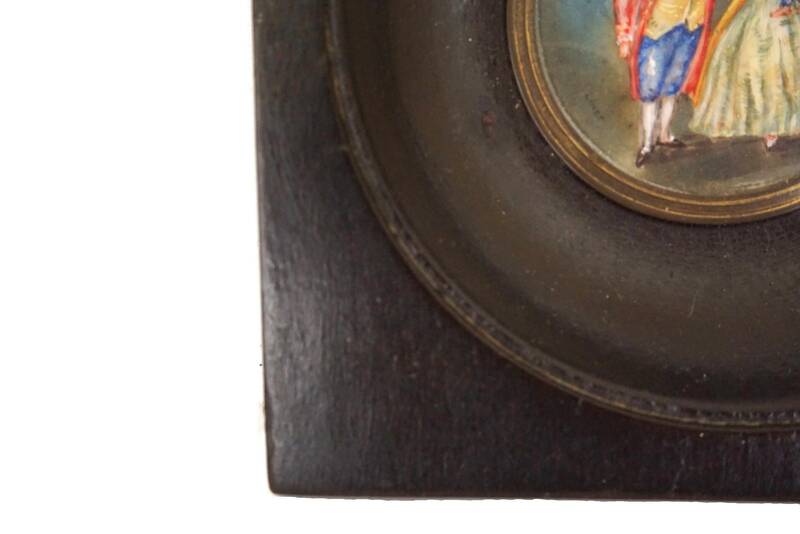 The miniature painting is 1 5/8" in diameter (4 cm). 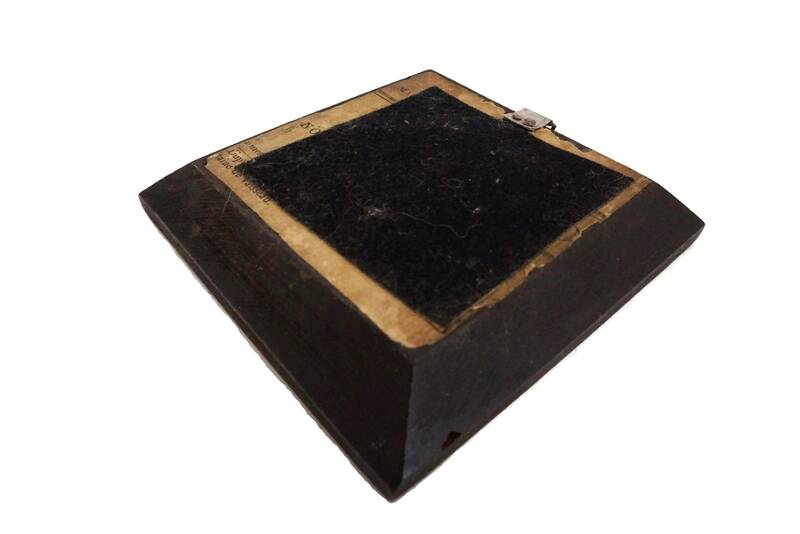 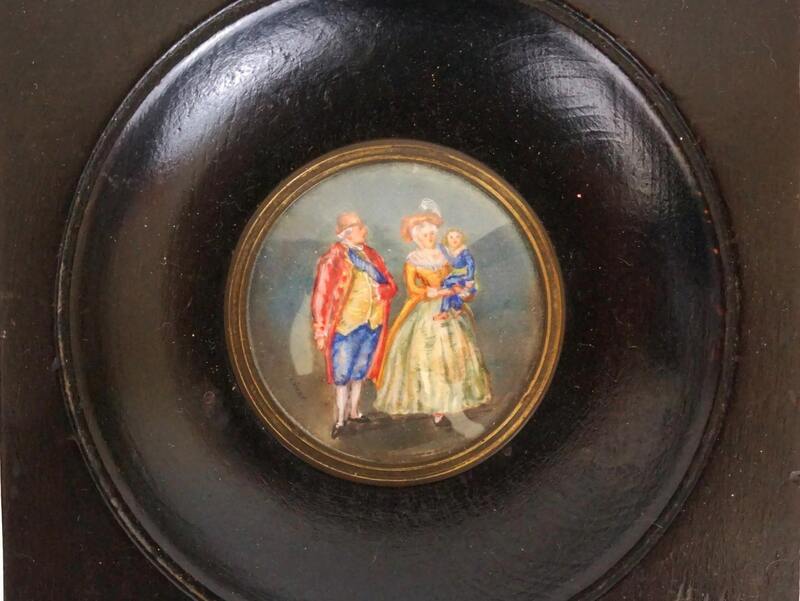 The antique French miniature family portrait is in very good antique condition with signs of age and wear including scratches to the wooden frame and few old bore-holes (which have been treated).